Drivers have an obligation to stop and exchange their identification and insurance information before leaving the scene of an accident. However, drivers commonly flee the scene of an accident without identify themselves. When this happens, the accident then becomes a hit-and-run accident. The hit-and-run driver, if subsequently identified, may become liable not only for negligence, but punitive damages. Out of those, drunk driving is the most common form of hit-and-run accident case. And because drunk driving increases on Friday, Saturday, and Sunday nights, so too does hit-and-run accidents over the weekend. Take pictures of your vehicle and email them to our office. Hit-and-run accidents are most common on the weekends due to drunk driving. It is rare however to have a hit-and-run case involving a semi truck accident. When a negligent driver flees the scene, that driver becomes a phantom driver. These cases can be a bit tricky, which is why it is so important to contact a hit-and-run accident attorney with our Firm immediately. In some phantom vehicle accidents, there is no actual contact between the negligent driver and the vehicle in which the injured person is traveling in. Many insurance policies requires physical contact. In other case, the accident needs to be reported quickly and in some cases within 24 hours. Unfortunately, all too many vehicle owners believe they have “full coverage” when in fact they do not have uninsured motorist coverage. Uninsured motorist coverage is particularly crucial in cases involving drivers that flee the scene of the accident. Without uninsured motorist coverage, you could be left without any money to compensate you for your personal injuries. 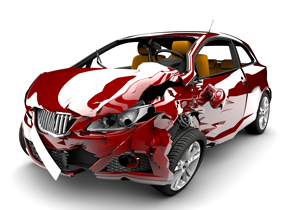 It is unlikely that you can resolve your claim without the help of an experienced hit-and-run accident lawyer. The insurance company will assign one or more uninsured motorist adjusters to review and evaluate your case. The uninsured motorist insurance adjusters are trained to deny coverage or offer low ball settlement offers to persons not represented by an attorney with the hope that the victim will accept the offer. In many cases, the victim believes the adjuster’s justification for the low offer. Avoid wasting your time with an uninsured motorist insurance adjuster and contact our Firm. The Firm will make the process simple and understandable. More importantly, our Firm litigates cases cannot be resolved. The Firm has the personal injury experience to position your case for maximum compensation. Understanding factors that alter the ultimate settlement or judgment is crucial. First, hiring our firm is a good first step. Adjusters will pay out more to attorneys because there is a risk of litigation and litigation costs the insurance company thousands of dollars. At each stage of litigation, the insurance company must put away funds to cover their attorney fees and costs. Mediations, depositions, responding to discovery, and going to court for hearings all cost a significant amount of money to the insurance company. At hundreds of dollars per hour, you can image that the defense attorney fees ad up quickly. Also, a Firm accident attorney will negotiate with the hospitals and doctor’s offices to seek reduction of your medical bills, which will further maximize your compensation. An attorney can put a hold on debt collectors and collector lawsuits. If you don’t have a lawyer, the debt collectors will usually not put your debt on hold. If you have been in a recent hit-and run accident in Florida, or you simply have questions regarding a phantom vehicle crash, call a phantom hit-and-run personal injury attorney with the firm toll free: 1-844-4-TUCKER or the main phone number: 954-204-0444.